Given that Amazon.com opened in 1995, I’d say they were a bit optimistic. 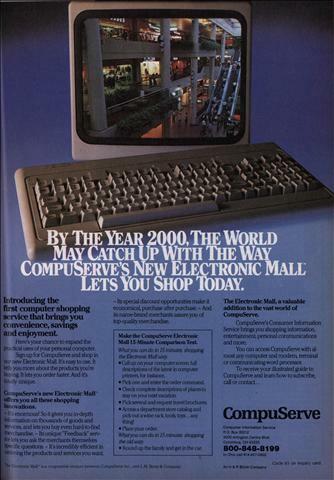 By The Year 2000,The World May Catch Up With The Way CompuServe’s New Electronic Mall Lets You Shop today. Introducing the first computer shopping service that brings you convenience, savings and enjoyment Here’s your chance to expand the practical uses of your personal computer. 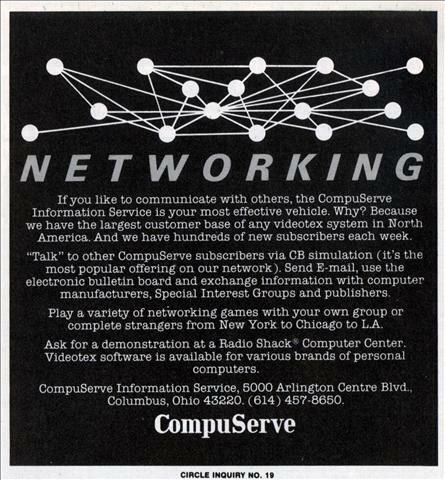 Sign up for CompuServe and shop in our new Electronic Mall. It’s easy to use It tells you more about the products you’re buying. It lets you order faster. And it’s totally unique CompuServe’s new Electronic Mall ” offers you all these shopping Innovations. 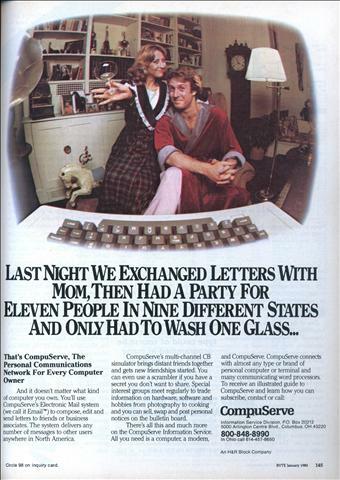 If you like to communicate with others, the CompuServe Information Service is your most effective vehicle. Why? 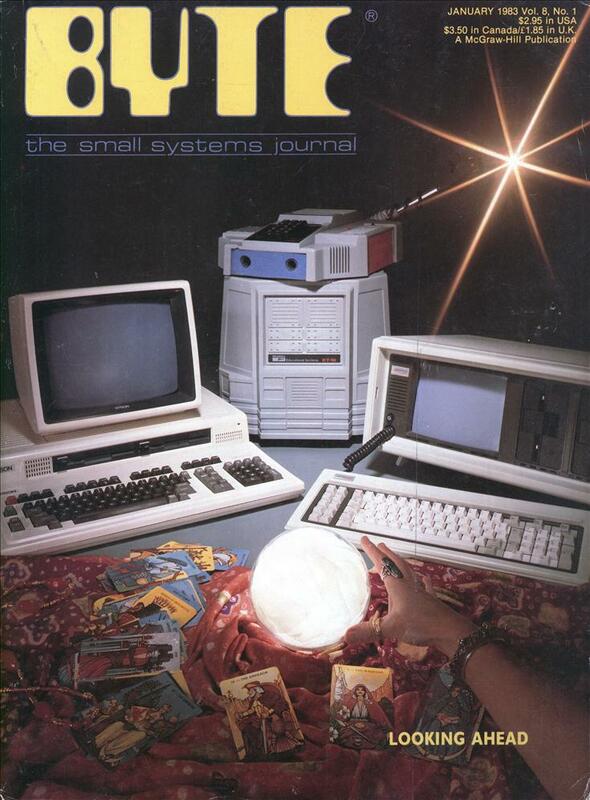 Because we have the largest customer base of any videotex system in North America. And we have hundreds of new subscribers each week. I’m guessing they figured it was unenforceable because they abandoned the trademark in 1984. And it doesn’t matter what kind of computer you own. You’ll use CompuServe’s Electronic Mail system (we call it Emailâ„¢) to compose, edit and send letters to friends or business associates. The system delivers any number of messages to other users anywhere in North America.